The Ubud Monkey Forest is a nature reserve and Hindu temple complex in Ubud, Bali, Indonesia. 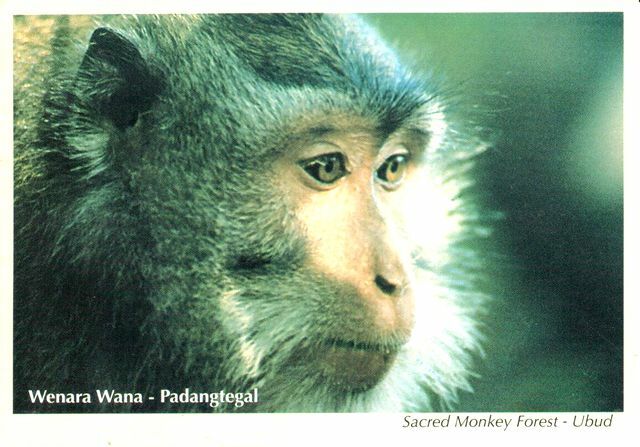 Its official name is the Sacred Monkey Forest Sanctuary and its name as written on its welcome sign is the Padangtegal Mandala Wisata Wanara Wana Sacred Monkey Forest Sanctuary. The Ubud Monkey Forest is a popular tourist attraction and is often visited by over 10,000 tourists a month. The Monkey Forest lies within the village of Padangtegal, which owns it.